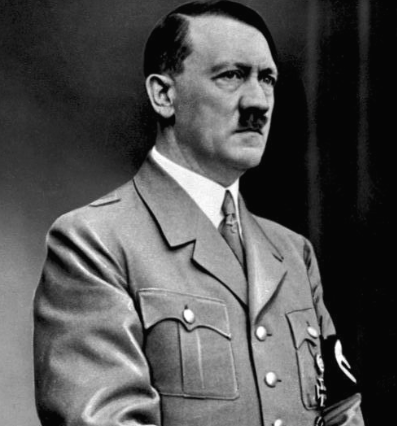 Why Didn't Anyone Kill Hitler? This week marks the 70th anniversary of a plot whose success might well have spared millions of lives, while claiming that of history’s most infamous mass-murderer, Adolf Hitler. The elaborate conspiracy centered on Claus von Stauffenberg was the most well-prepared and organized attempt to put an end to Hitler, but it was scarcely the first. The number of serious attempts on Hitler’s life would fill a book and indeed have; Roger Moorhouse’s Killing Hitler (2006), for example, covers the ground of several such attempts from the moment Hitler came to power in 1933, at which time his security detail was remarkably small and haphazard. Early, amateurish attempts, however, put him on his guard and before the Second World War had begun, Hitler never moved anywhere without a phalanx of security. Weaknesses in his security were nonetheless identified and exploited by attempted assassins –– yet fortune favored Hitler. Thus, one of the most remarkable attempts on Hitler’s life was carried out in November 1939, just weeks into the Second World War. The idea was brilliantly conceived, painstakingly prepared, carried into execution and ought to have succeeded but, because it failed, its author is largely forgotten today. Johann Georg Elser, a carpenter from a humble family of lumber traders, had decided Hitler was a menace to Germany and the world who had to be eliminated. He conceived his plan the previous November in Munich, watching commemorations of Hitler’s abortive Beer Hall Putsch of 1923. This event was a fixture of the Nazi calendar and thus followed a fixed, ceremonial pattern which included Hitler delivering an address in the Bürgerbräukeller. Elser planned to kill Hitler at the next commemoration during his speech. In the course of the next twelve months, Elser stole gunpowder, obtained a job which gave him access to explosives and detonators, and taught himself the rudiments of their use. He dined nightly at the Bürgerbräukeller, secreting himself upstairs when it closed, and set to work by night, hollowing out a cavity in the pillar beside the dais used by Hitler each year in order to install a bomb inside it. Elser ingeniously modified a clock to enable him to have a timer that could be set 144 hours in advance, and lined the cavity with cork to conceal the sound of its ticking, before sealing the cavity and sedulously concealing all evidence of his work. He timed the bomb to detonate at 9.20 PM on November 8, 1939, in the middle of Hitler’s speech. Elser’s bomb worked perfectly, exploding punctually and bringing down the gallery supported by the detonated pillar on the appointed date at 9.20 PM –– except Hitler had altered his schedule, shortened his speech, delivered it early and thus departed the scene 13 minutes earlier. Taken in for questioning at the Swiss border while seeking to cross it, Elser’s possessions were self-incriminating and under interrogation he eventually confessed all. He was kept as a special prisoner until April 1945 when, in the dying days of the war, he was murdered along with other special prisoners warehoused by the Third Reich. Elser’s attempt was not bettered for nearly the rest of the war. In June 1942 the Polish underground attempted to attack Hitler’s personal train but ended up derailing another. The Soviet leader Josef Stalin sought to assassinate Hitler but, by 1943, as Germany began losing the war, gave up the idea as counter-productive: Hitler’s death might lead to a better-led German war machine or a separate peace with the West. So it fell to the anti-Nazi senior German officers to take matters into their own hands, initially led by General Henning von Tresckow, chief of operations for Army Group Center on the eastern front. Tresckow was the core of an expanding coterie of officers who had either been repelled by Germany’s paganistic and barbarous turn under Hitler or else had revised their earlier acceptance of it, the more so as Germany’s catastrophic military defeat now loomed. Tresckow did not accept that Germany’s impending defeat obviated the necessity to act against Hitler; millions more innocents would yet die if the war was allowed to take its course. He thought it imperative that decent Germans do what they could to end Hitler and with him the war. A plan for a coup took shape and a clandestine, anti-Nazi cabinet-in-waiting was formed to assume the reins of power when the moment came. All that remained was to devise the means to dispose of Hitler. Hitler was perpetually secreted in high-security locales; only his lair at Berchtesgarden was relatively lightly guarded and this locale presented obstacles of its own. As to method, poison was out of the question, as all his food was pre-tasted by his doctor, while no-one could usually enter Hitler’s entourage carrying a firearm. The only practicable way to kill Hitler, therefore, was to penetrate the inner circle of the regime and kill him –– and preferably the other most senior Nazi officials, like Himmler and Goebbels –– with a bomb. Tresckow made two attempts. On the first occasion, in March 1943, he arranged for British-made plastic explosives to be camouflaged in a bottle of Cointreau and placed with Hitler’s luggage on the Fuhrer’s plane, but the bomb failed to detonate; whether the fuse was defective or the extreme cold in the plane occasioned by a malfunctioning heater prevented the bomb from exploding has never been determined. A week later, another conspirator, a senior intelligence officer, Rudolf-Christoph von Gersdorff, volunteered to become a suicide bomber. With explosives placed on his person and equipped with ten-minute fuses, the plan was for him to set the fuses when accompanying Hitler on a scheduled tour of captured Soviet weaponry during the annual Heroes’s Day celebrations in Berlin. But Hitler, due to stay for half an hour, was distracted by who knows what and left after two minutes; Gersdorff had no choice but to beat a hasty path to a lavatory to secretly defuse the bombs. Yet again, luck had saved Hitler. A few months later, in October 1943, Tresckowlost his access to Hitler when he was appointed Chief of Staff to the Second Army and was thus off the scene in the east. His task thereupon devolved upon Claus von Stauffenberg, another aristocratic officer who had been inducted into the conspiracy only months earlier. Some controversy has surrounded his motives, but the balance of evidence suggests that Stauffenberg’s deep patriotism went hand-in-hand with a strong moral conscience fostered by his devout Catholic upbringing. The potential dissonance between the two had first emerged during Kristallnacht, the Nazi-orchestrated nationwide pogrom against Germany’s Jews on the night of November 9, 1938. His growing revulsion for Nazism had not yet attenuated his sense of duty to his commander-in-chief; he learned of anti-Hitler conspiracies the following year and thought to report the ringleaders, but decided against it. Stauffenberg’s service on the eastern front during 1941-3, however, made him witness to German atrocities; an eyewitness account of one massacre of Jews in the Ukraine that he received in May 1942 might have been a turning point. Revolted, he saw no other outlet at this stage other to seek a transfer, which took him to Field Marshal Erwin Rommel’s Afrika Korps, now driven back to Tunisia from Egypt by ascendant Allied forces. There, in April 1943,Stauffenberg was severely wounded in action, losing his left eye, his right hand and all but the thumb, index and middle fingers of his left hand. A long convalescence in Munich brought him into contact with Tresckow and the other officers involved in the anti-Hitler conspiracy. Stauffenberg could have been invalided out of active service and turned his back on the developing conspiracy. Instead, he returned to duty and rapidly took charge of it. He believed he had been spared for a providential reason and he was a determined man; even with now only one hand, he often insisted on dressing himself and tying his own shoelaces unaided. With his appointment to the Reserve Army in Berlin, he became perfectly placed to advance Tresckow’s assassination and coup plan: to him fell the task of updating Operation Valkyrie, a Hitler-approved emergency plan for deploying Wehrmacht forces at the word of the German High Command to secure the capital in the event on internal revolt or unrest. Stauffenberg altered the plan, its trigger being now the assassination of Hitler. The lack of an officer with access to Hitler seemed filled when Stauffenberg recruited still another aristocratic officer, Axel von dem Bussche. Bussche was a man of similarly deep conviction and sense of purpose and he agreed to sacrifice himself by arming himself with a bomb and detonating it when he would have an opportunity to embrace Hitler at a formal inspection of the new eastern front winter uniforms at the Wolf’s Lair (Wolfschanze), Hitler’s headquarters in east Prussia. But the new uniform consignment went up in smoke the night before in a British air raid the inspection was postponed and Bussche returned to the front. Before the inspection was rescheduled, Bussche was badly wounded in combat, losing a leg, and was laid up for the rest of the war. Another of Stauffenberg’s recruits, Captain Ewald von Kleist, volunteered to do the deed when the inspection was rescheduled in February 1944, but Hitler then cancelled the event altogether . Another officer, Captain Eberhard von Breitenbuch, who offered his services to Tresckow in March 1944, soon had what appeared to be his chance when he accompanied his superior, Field Marshal von Busch, to a meeting with Hitler at Berchtesgarden. Breitenbusch, deciding to shoot Hitler with a concealed pistol, arrived at the anteroom with his weapon undetected –– but, at the last minute, he was not admitted to the conference room, being only a junior aide. Hitler again had been saved and the conspirators frustrated. But then a new door opened: on June 20, Stauffenberg was promoted to full colonel and appointed chief-of-staff to General Friedrich Fromm, commander of the Berlin-based Home Army. Stauffenberg’s duties included reporting to Hitler; thus, out of the blue, the chief conspirator himself had suddenly obtained the vital, regular access to the Führer. They had met for the first time two weeks earlier, on June 7, the day after the D-Day invasion of Normandy. Hitler had greeted the decorated and maimed war hero warmly; Stauffenberg withstood the test of having to peer into Hitler’s eerie, penetrating eyes. Far from being mesmerized, he found a void –– “Nothing! ... as if veiled” he later said. Stauffenberg soon determined that he would have to do the deed himself. No one else seemed up to the task; not co-conspirator, General Helmuth Stieff, who had lost his nerve about carrying in and placing a suitcase containing explosives in one of Hitler’s staff meetings. This changed matters. Stauffenberg’s original intended role had been to orchestrate the coup in Berlin following the assassination and to convince army heads to arrest the Nazi apparatus. This vital role now had to be devolved to others. No one could have guessed the baleful consequences of this development. Stauffenberg’s first attempt came at Berchtesgarden on July 11, when he brought the British-made explosives and pencil fuses to a meeting with Hitler. But, fatefully, Stieff persuaded him to postpone the attempt, as Himmler was absent, so the opportunity was lost. Stauffenberg made a second attempt on July 15 when attending a staff meeting at the Wolf’s Lair. Preparatory orders for Valkyrie had been issued that morning. No one knows for certain why Stauffenberg did not proceed with the attempt. Whether he lacked the opportunity to set the fuses, whether the attempt was aborted because Goering and Himmler were absent, we are unlikely to ever know. The Valkyrie orders had to be rescinded and the troop movements explained away as a drill; the sort of excuse that can be proffered only once. Time was running out for the conspirators: two of its members had already been arrested by the Gestapo and could be expected to crack under torture before long and reveal other members. Stauffenberg was keenly aware of the enveloping danger and knew that, on the next occasion, he must not fail. That occasion arrived on July 20, when he again attended a staff meeting at the Wolf’s Lair. The meeting proceeded, not in the usual cavernous confines of the underground concrete bunker, where the force of the explosion would be greatly multiplied, but in an outdoor wood-and-fiberglass briefing room. Nonetheless, the two plastic explosives concealed by Stauffenberg in his briefcase should have been ample for the job. During the meeting, Stauffenberg excused himself on the pretext of needing to freshen up and change his shirt. Assisted by his adjutant, Lieutenant Werner von Haeften, the three-fingered Stauffenberg put the bombs together behind closed door in an officer’s room, but had only set the fuses for one of these when they were interrupted and Stauffenberg forced to return instantly to the meeting. Thus he returned to the briefing room with only one bomb in his case, primed to explode in ten minutes. Seated routinely next to Hitler on the pretext of being still somewhat deaf from his injuries in Tunisia, Stauffenberg placed the case only a few feet from Hitler, then left to supposedly make an urgent phone call. This was nothing irregular in meetings of this kind and no suspicions were aroused. Minutes later, the bomb exploded. Stauffenberg witnessed it from a distance and, confident that he had finally succeeded, left in the resultant confusion and boarded his plane back to Berlin to assume command of the coup. But it had all gone wrong. Before exploding, the briefcase had been moved to the other end of the heavy conference table, behind a thick base affording Hitler some protection. In the explosion, one participant was killed, three more mortally wounded, but Hitler and the rest, though injured in varying degrees, were alive and would survive. Stauffenberg arrived two hours later in Berlin. Finding no one awaiting him at the airfield, he made his own way to Home Army command, only to find that his co-conspirators had been largely paralyzed by indecision in the absence of definite news from the Wolf’s Lair. The troops had been called out to surround various organs of the state, but otherwise little had been done; the telephone exchanges and radio headquarters had not been seized. Thus, the Nazi hierarchy was able to communicate the news that Hitler was alive and not seriously injured, though Stauffenberg refused to believe it. But it was over. Stauffenberg’s directives were exposed as a coup and countermanded and the conspiracy melted away into impotence. Goebbels, surrounded in the Propaganda Ministry by troops called out by the Valkyrie order, summoned their commander, Major Otto Remer, who thought he was carrying out the Führer’s command, only to be disabused by Hitler’s voice on the end of the telephone Goebbels handed him. Stauffenberg and his cohorts were surrounded and captured after a brief shoot-out in the Home Army headquarters. His superior and co-conspirator, General Fromm, thereupon arrested Stauffenberg, who had been wounded in the shoulder during the shoot-out, and the others. In a bid to cover his own tracks, Fromm had them shot by firing squad in the early hours of the following morning, though this deed failed to save him from arrest, trial and eventual execution. Staufffenberg’s adjutant Hauften threw himself in front of the bullets intended for Stauffenberg, who was simply shot seconds later. Other conspirators were less fortunate: after conviction in show trials, some 200 were done to death by slow strangulation in Berlin’s Plötzensee prison and thousands more were also killed or dispatched to concentration camps. The news of the attempt by Stauffenberg and the other German officers stunned and heartened people across Europe. Anne Frank, living for two years in hiding with her family in Amsterdam, wrote in her diary, “I’m finally getting optimistic. Now, at last, things are going well! They really are!” (It was her penultimate diary entry. Two weeks later, her family’s hiding place was discovered and she was deported to her eventual death at Bergen-Belsen). Stauffenberg’s failure meant that the war in Europe lasted nine further months, with millions of lives lost. Germany itself suffered the worst of its losses; of Germany’s 7.4 million dead in the Second World War, some 4-5 million lost their lives in the last six months. Thus, did a concatenation of chances on occasion after occasion –– personalities, changed circumstances, poor choices, indecision, bad luck –– determine the lives and deaths of millions.